We have received your application for membership in the Young Professionals Organization of Greater Peoria. Once payment is received, you will be a registered YPGP member. Please use the link below to pay online using a credit card. 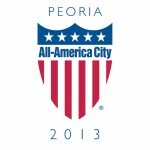 If your company requires an invoice, please e-mail Sherneka Cagle at scagle@peoriachamber.org to request an invoice.